← And there was light! …but a trained and resolute defender with a firearm more than makes up for the difference. This entry was posted in self-defense, weapon and tagged 9x19, carbine, castle, defense. Bookmark the permalink. While I did not choose it as cover we have a Queen size hard side water bed. In such a situation we would take cover behind it. 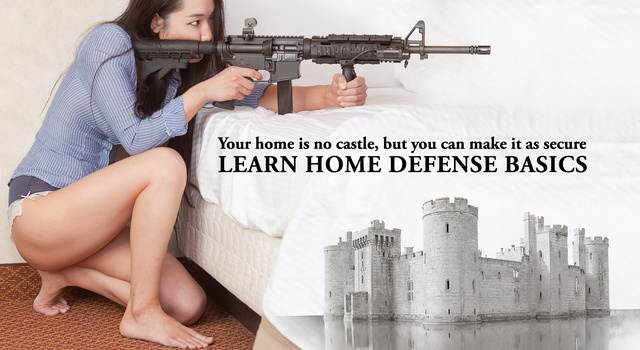 I also use it as my safe direction when loading the pistol to put it away next to the bed. It might be hard on the dining room ceiling down below but better than not having one.